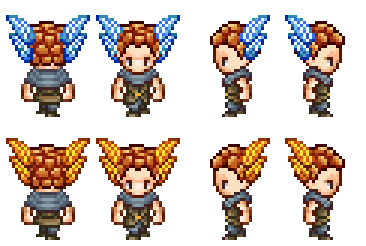 Some more quick stuff, this time a bunch of rewards for the various quests (fae wings for your head! wohoo! ), as well as the camera used for the photography quests and a sack of bird feed for another quest featuring another well-known face from Story Mode, who wishes to see some birds in Arcadia!